How Much Silver Is In a Quarter? Today, United States quarter dollar coins (quarters) are struck using an alloy of copper and nickel (cupro-nickel) and have a ‘silvery’ polish but don’t really contain any pure silver at all. Although the US Mint uses this low value pot metal alloy to strike all US quarters now, this wasn’t always the case. Pre-1965 silver quarters were actually struck using real silver (90%). In fact, every single US quarter minted before 1965 contains 0.1808 troy ounces (6.25 grams) of physical silver weight and value. 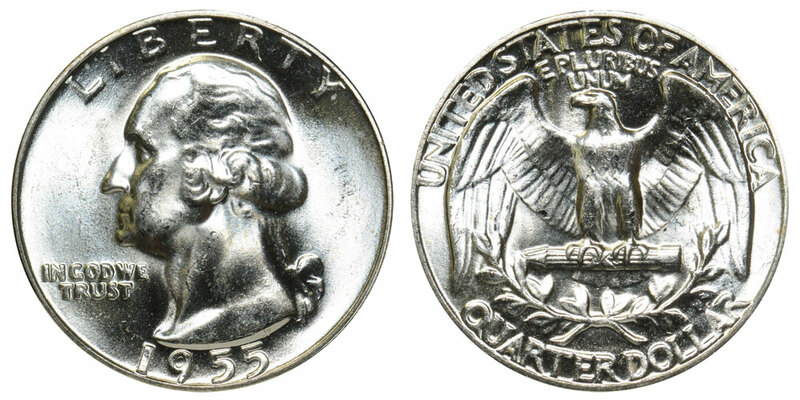 The reverse design of the US quarter has seen several changes over the years, but the obverses have always featured the regal portrayal of President George Washington since 1932. This rendition captures his left-profile perfectly and was created by John Flanagan, using a 1786 bust of the President for inspiration. The 89th United States Congress enacted the Coinage Act of 1965 in response to the growing value of pure silver and the resulting rise in minting costs. Under this Act, the United States eliminated silver from all circulating dime (ten-cent) and quarter dollar coins. Even though the US half dollar only had its silver content reduced from 90% to 40%, a law passed in 1970 stripped the silver from it as well. There are five different US quarters that contain 0.1808 troy ounces (6.25 grams) of 90% silver. The earliest available US quarters, and this, the hardest to find of all. They carry a higher value than most other quarter dollar coins due to their rarity and their iconic status in the history of United States coinage. Most of these quarters in existence today feature a lot of wear and tear. 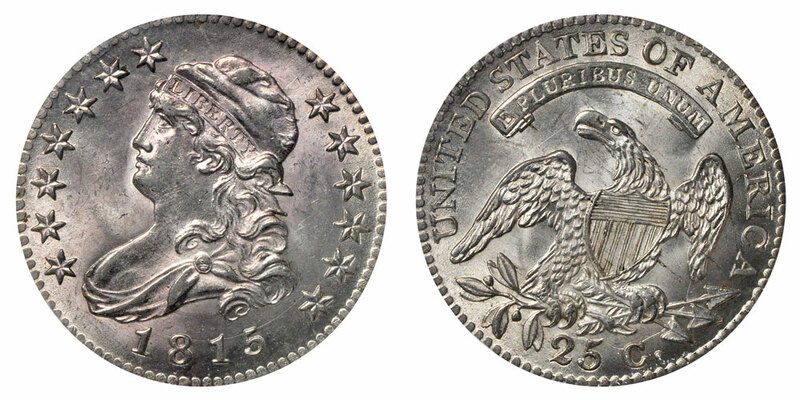 Two types of Bust Quarters were minted – the Draped Bust (1797 to 1807) and the Capped Bust (1815 to 1828). While the Draped Bust design seems to have been rendered by Gilbert Stuart, John Reich is credited for the Capped Bust design. The Seated Liberty Quarters are arguably one of the most popular US quarters out there. Collectors frantically hunt for these coins to complete their set of pre-1965 US quarters. These coins feature the brilliant rendition of the figure of Lady Liberty with a flowing dress, seated upon a rock. Successive iterations of this coin modified the design by adding stars, arrows, and drapery among other things. Christian Gobrecht, the Engraver at the United States Mint, is credited with the creation of these designs. Even though the Seated Liberty designs were popular and loved, people began clamoring for a replacement by the late 1880s. The United States Mint responded by launching the Barber Quarter in 1892. However, both public and artistic opinion about the new designs were mixed. The design featured the head of Liberty with a Roman wreath perched atop her head. 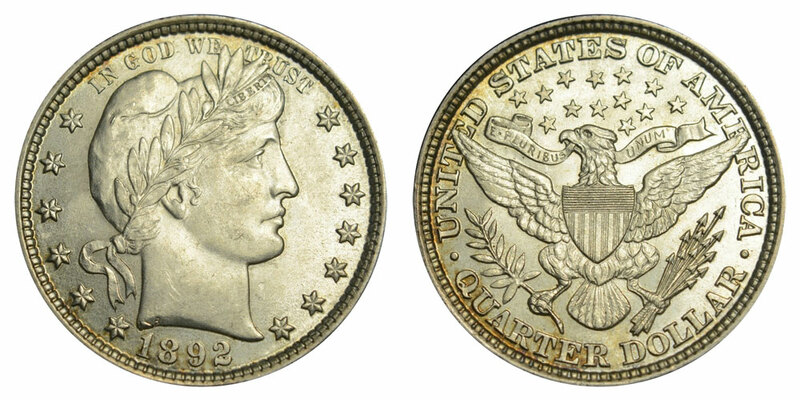 Named after the artist who rendered this design, Charles E. Barber, the Barber Quarter Dollar coin remained in circulation for over two decades. 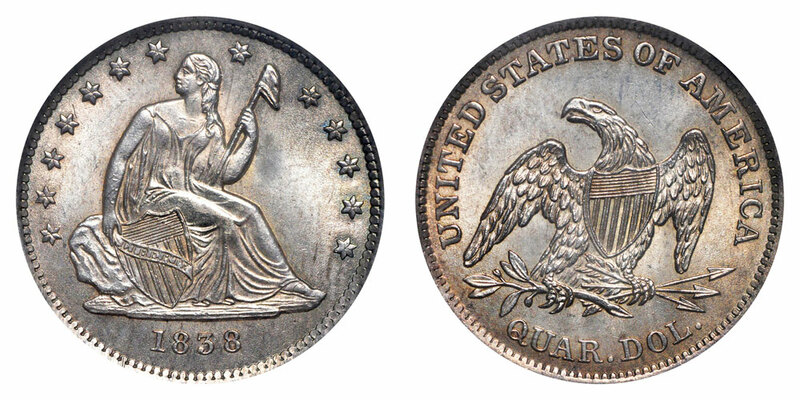 The Standing Liberty design was the United States Mint’s response to the mixed feedback about the Barber Quarter. However, this US quarter’s circulation stint lasted well under even two decades. Hermon Atkins MacNeil designed the elegant portrayal of Lady Liberty on these coins and it was extremely popular. But this time, the year of issue on these coins started to wear off after only a little time in circulation – prompting the US Mint to discontinue them in 1931. 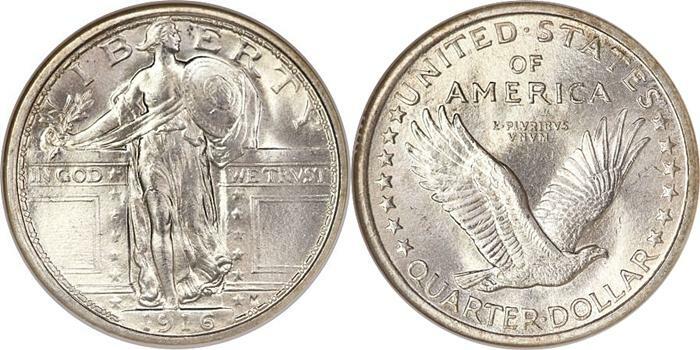 Introduced in 1932, this US quarter’s design is probably the most famous one of all since it inspired the modern-day US quarter. Unlike the US quarters with these designs in circulation today, the pre-1965 Washington Quarters were struck using 90% silver. The majestic portrayal of President George Washington is featured on their obverses. 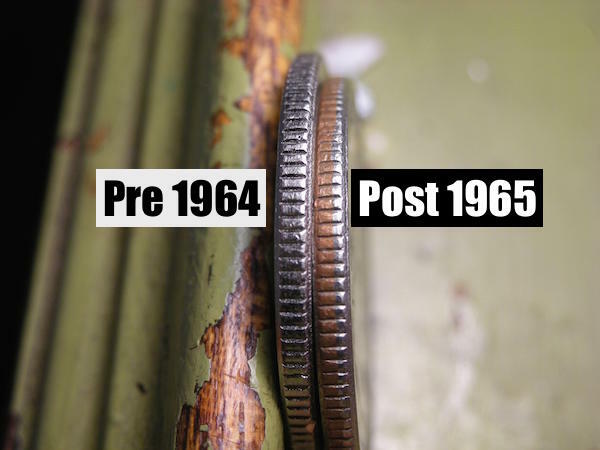 Collectors often hunt for pre-1965 US quarters in the best possible condition to add to their coin collections, while investors love the historical value and diversification they add to precious metals portfolios.